This month of December is ideal to enjoy the starry sky and two of the most breathtaking astronomical spectacles, both surrounded by uncertainty: one is the hunt for comet 46P/Wirtanen and another is the Geminids, probably the most impressive meteor shower of the year. It doesn’t usually happen, but this year we actually have the chance to enjoy an authentic comet that heralds the arrival of Christmas, just like the star of Bethlehem, which according to mythology guided the biblical Magi on their journey. Its classic representation as a big star followed by a long tail, evokes the shape of a comet. The story of its sudden appearance in the sky, like a new star never seen before, also fits with the appearance of a comet. Although there are other theories that could explain that phenomenon, such as the occurrence of a supernova or a particularly striking planetary conjunction. 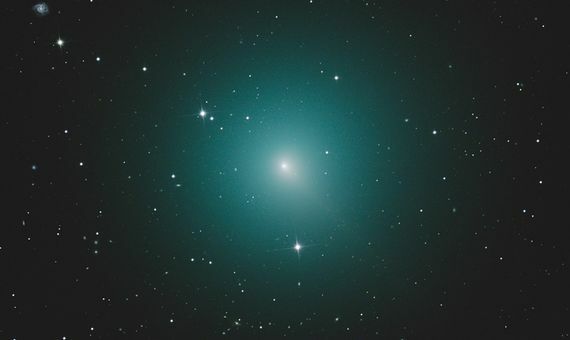 Whatever the star of Bethlehem was, it’s now Comet 46P/Wirtanen that’s approaching Earth, and the closer it gets to our planet, the greater its brightness. The most optimistic forecasts predict that it’ll shine bright enough to be seen with the naked eye from December 16, when the comet will make its nearest approach to our planet, about 11 million kilometres, becoming one of the closest cometary passes in history. In the worst case, if the comet doesn’t increase its brightness at the expected rate, you can easily see it with a pair of binoculars or a small telescope, so it’s worth going out comet hunting. At the time of publication of this article, the comet can be located, with the aid of optical instruments, in the constellation of Fornax (“the furnace”, in Latin) accessible to observers from both the southern and northern hemispheres. To locate both the constellation and the comet, we can get help from a virtual planetarium such as Stellarium, print out location maps like those generated in Heavens-Above or Skylive, or install an application for mobile phone like Google Sky Map. Astronomy and its events are usually associated with mathematical precision—we can know the time when an eclipse of the Sun will occur centuries from now (fine tuning the moment to hundredths of a second) or the distance from the Earth to the Moon at each moment (adjusting it in centimetres). However, the brightness of a comet is more like a weather forecast—but why this cloud of uncertainty? The answer is due to another cloud, the one that envelops the comet. Comets are large blocks of icy dust and rock, sometimes described as “dirty snowballs,” coming from the outermost and coldest part of the solar system, where sunlight barely reaches. They can orbit stably for millions of years, but occasionally a gravitational interaction or a collision with a nearby object can deflect one of these objects onto a different trajectory where it falls into the gravity of the Sun, entering the inner Solar System. Upon passing the orbit of Mars, the surface heats up to the point that the ice sublimates (passes from solid to gas), generating a cloud of gas and dust that grows larger as the distance to the Sun diminishes. In this phase we can say that the frozen planetoid has transformed into a comet, and the cloud of gas and dust its tail. The brightness depends on the size of the comet’s tail. Comets shine because they reflect sunlight, so the larger and denser the cloud that surrounds them, the more light they reflect and the brighter they shine. In the case of 46P/Wirtanen we know little about the amount of ice and how it is distributed on the surface of the object, making it impossible to make accurate predictions about its brightness. The best method is to analyse the evolution of the brightness curve of the comet in relation to its distance to the Sun and the Earth, but this method only gives approximate predictions. There are many occasions in which a comet gives a surprise: an unexpected ejection of material causes it to increase its brightness quickly, which is known as an outburst. But the show doesn’t end when a comet passes and moves away again. The part of the tail formed by gas dissipates quickly, but the heavier dust that it leaves behind remains in a similar orbit. They are not large particles; only grains of dust the size of beach sand. When the Earth passes through an area that coincides with the orbit of a comet and finds these particles, they enter the atmosphere of our planet at a relative speed of between 30 and 60 kilometres per second. The impact is brutal. The air is suddenly compressed in front of the particle, a large amount of heat is rapidly generated, the particle volatilizes and part of the energy radiates in the form of light. From the ground we spot what looks like a star falling towards the horizon: this is what we call a shooting star. During this month of December, the Earth passes through an area full of particles from the comet Phaeton, generating the shower of shooting stars known as the Geminids (they seem to arise from the constellation of Gemini). Many astronomers classify it as the best meteor shower of the year, ahead of the Perseids in August. 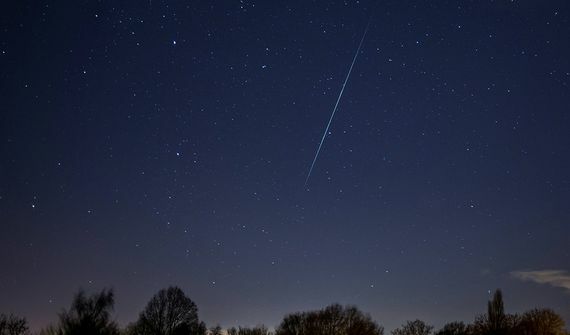 This year, the experts have predicted a maximum activity of about 120 meteors per hour between December 13 and 14, the days of maximum intensity. However, this prediction is for ideal conditions and a casual observer will likely appreciate “only” about 20-40 shooting stars per hour. 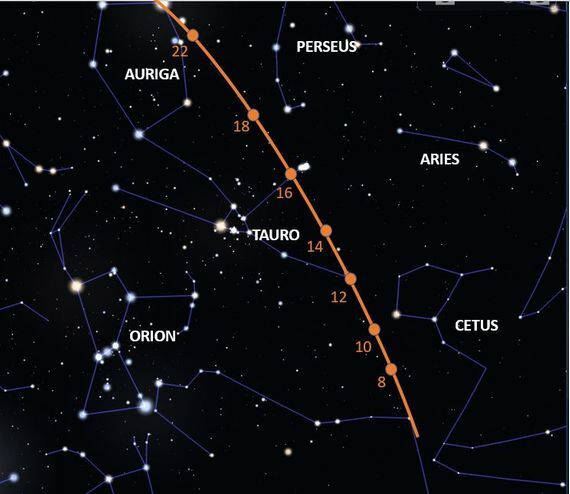 The conditions of observation this year are good: the crescent Moon may disturb us a little with its light, but it will set early, leaving much of the night available to observe the spectacle. Depending on the area and the weather, it may be the best meteor shower of the year. Astronomy and meteorology still have some unknowns in reserve for us. The best way to deal with them is to go out and look for them.